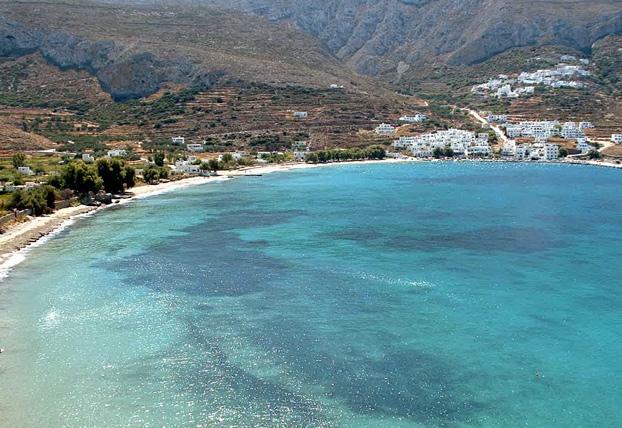 Spectacular Amorgos - Αμοργός is an island of bare rocky hills 33 km long and up to 6.5 km wide. 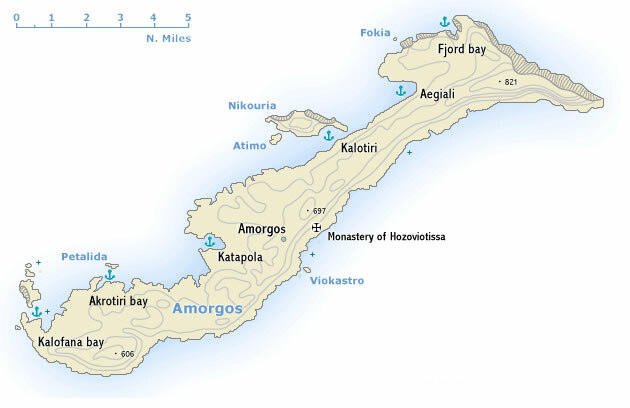 For the most part the south-east coast falls steeply down to the sea, but the north-west coast is gentler, with two deep inlets – the sheltered Katapola bay and Aegiali bay and several coves like Fjord cove, Kalofana bay and Akrotiri bay proofing that Amorgos should be included in itineraries on a sailing holiday. The population – much reduced by emigration – lives by farming and fishing. Ferries are not frequent, which explains the surprising low numbers of tourists.